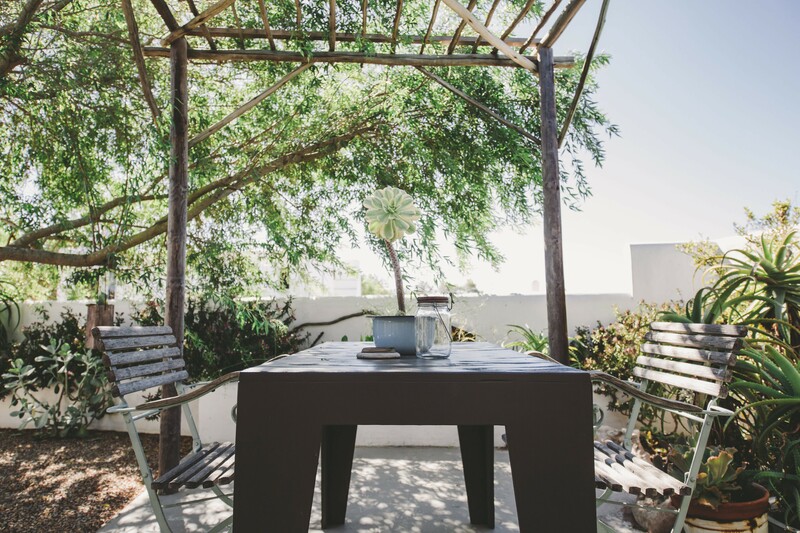 For over 10 years, owners Ruth and Andrew have dedicated their lives to building a place like none other; rich with beauty, timeless and appealing to visitors of all ages and preferences. 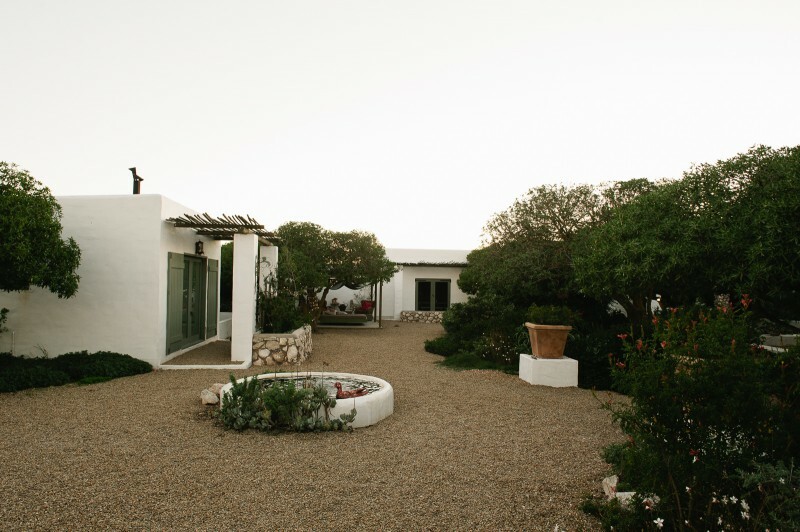 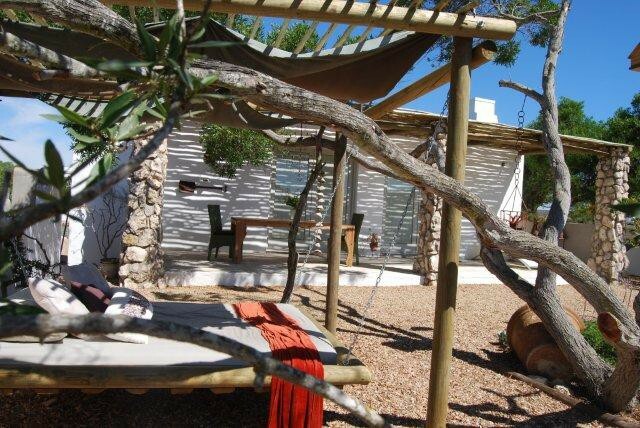 Nestled in the heart of Paternoster in the Western Cape with only a 2min trip to the pristine beaches of the West Coast, the farm shares the tranquility of the Karoo with an adventurous lifestyle the ocean promises. 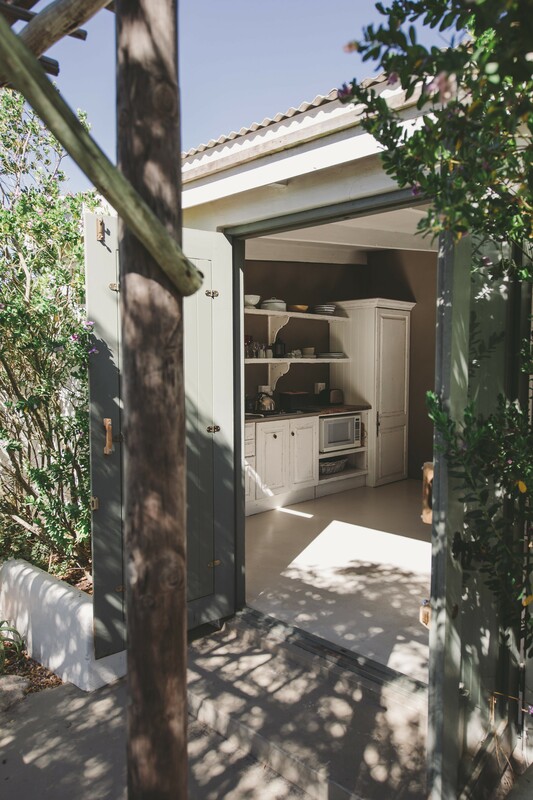 So come stay a few nights, share a special occasion with special friends, catch one of the magical movie screening evenings or just come have a look at what artistic treasures Ruth and Andrew have hidden in this little gem called Gelukkie. 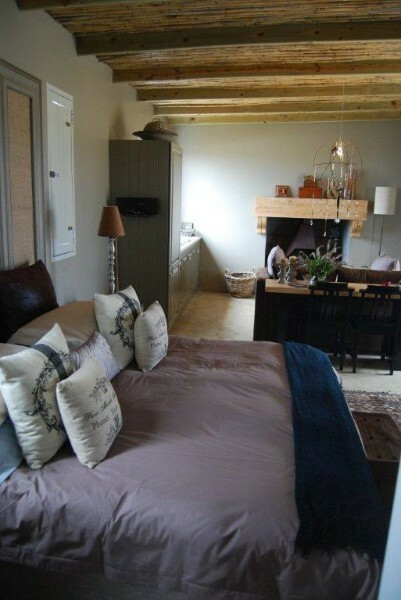 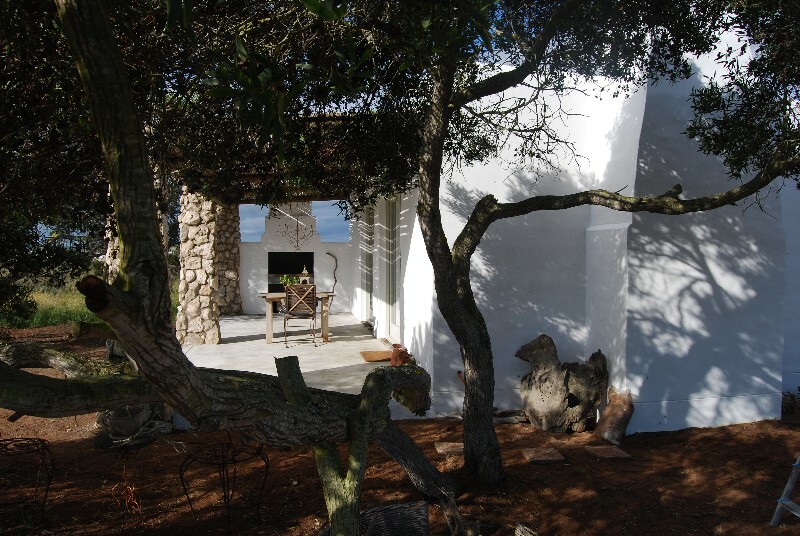 Is a spacious and beautifully decorated self-catering cottage for two people. 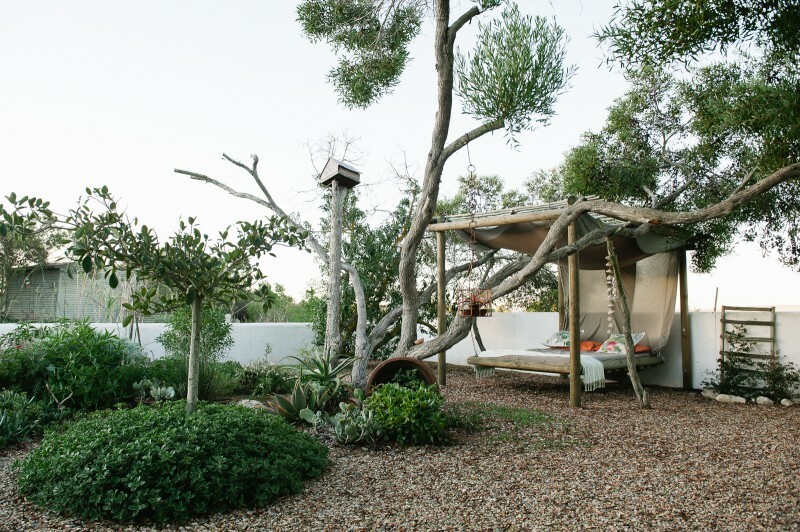 There is a king-sized bed with crisp linen, bathroom with a shower and a whimsical reading nook ideal for spending hours lost in a good book. 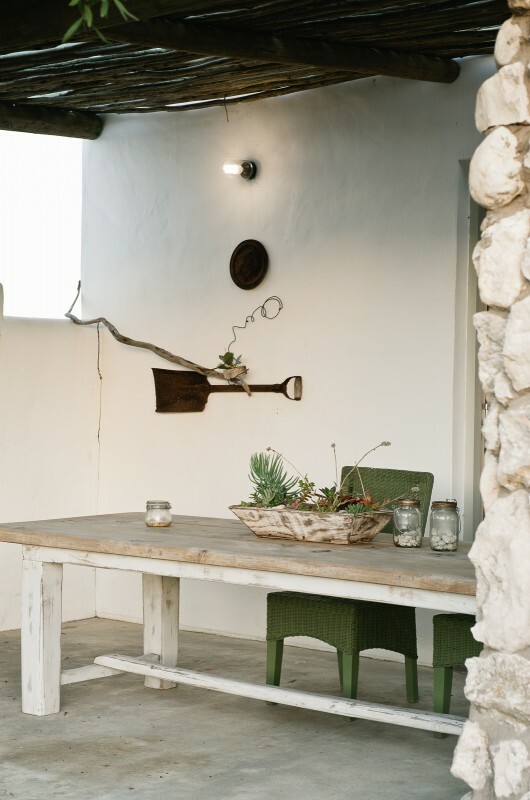 A huge window provides a picture frame to the pretty Gelukkie garden from the well-equipped kitchen and dinning room. 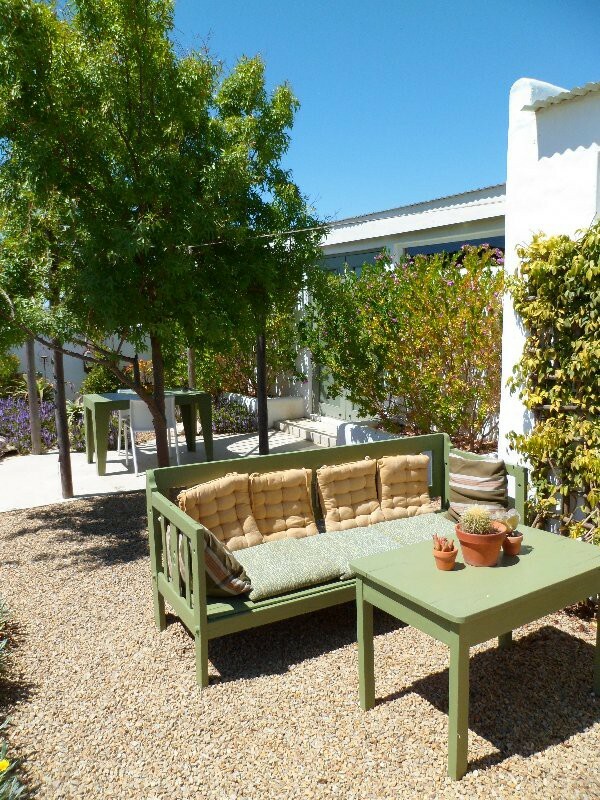 There is a private garden on the other side of the cottage with braai facilities. 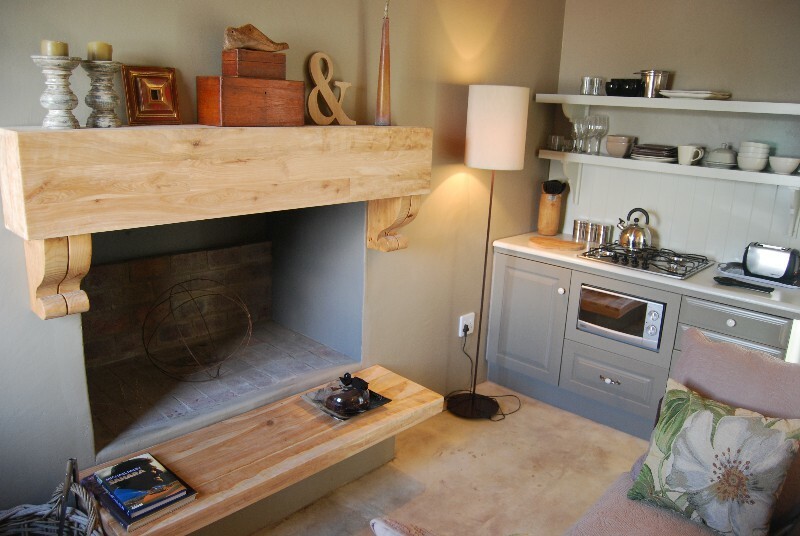 An indoor fireplace is just perfect for a chilly evening in. 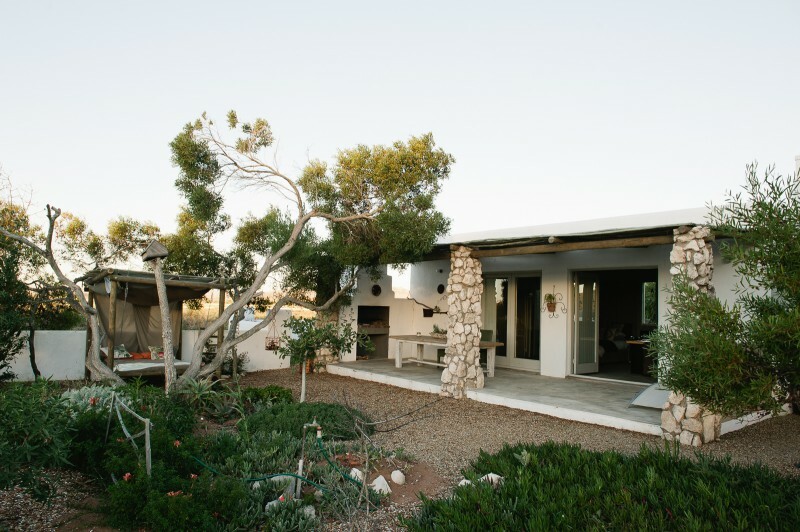 When looking for a totally private and peaceful stay,Nog 'n Gelukkie is the ideal self-catering cottage for two. 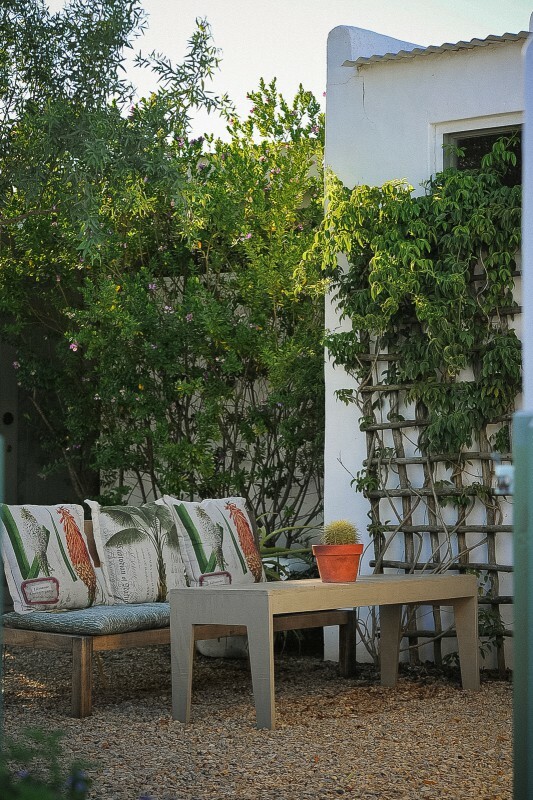 Set at the far end of the farm the overwhlming feeling is of being at one with nature in a beautiful indigenous garden which includes a blissful day-bed, patio and braai facilities.